I really like the sound of these if you can get it sounding light and fast with dynamics, say at 160 bpm. 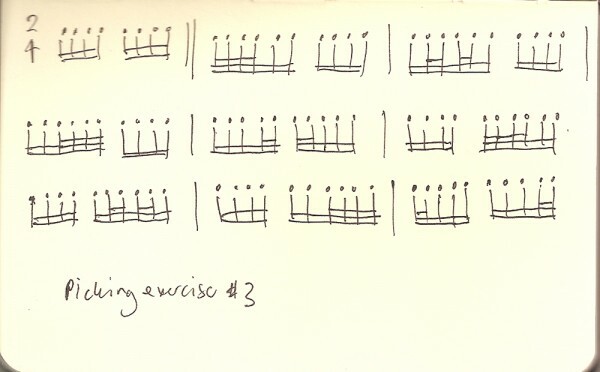 Try to put in a crescendo or decrescendo on the four 32nd notes. Go for the fast tempo, even though it may seem ridiculous. I think if you spend long enough just trying to hear/imagine/feel what that would sound like at that speed, then you’ll find a way to make the right movements to make it happen. 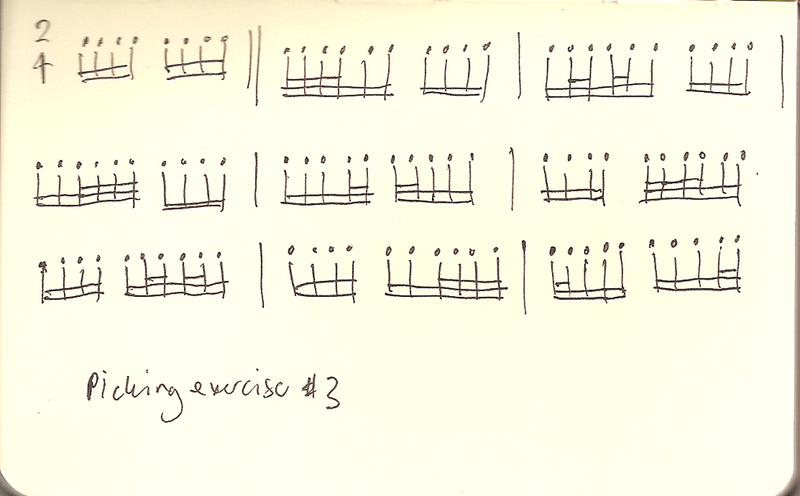 Try strumming the exercise on an E9 for some stunt funk :) Or muting the notes for an Al Di Meola/Vinnie Moore vibe. Well there we are, ending with Vinnie Moore. May the good Lord of Rock stoke thy fires, my six-string brethren.